Women in Hip Hop Night is coming! 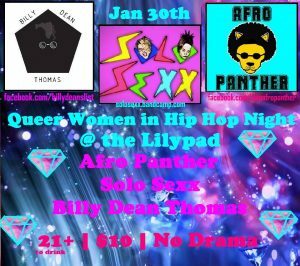 It will feature Billy Dean Thomas, Solo Sexx, and Afro Panther. Get your tickets! They’re selling out fast!